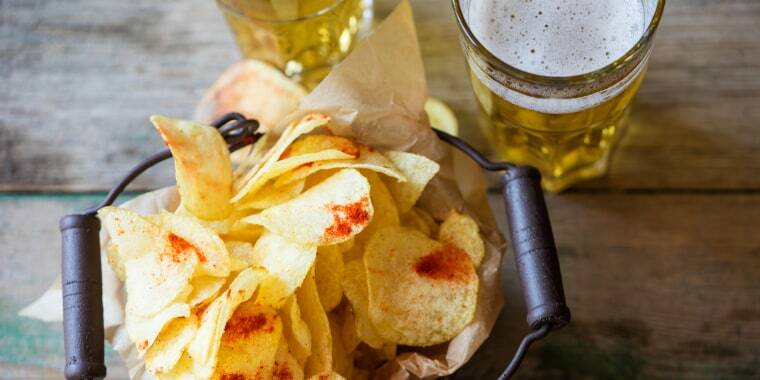 Ask a 100-year-old California woman about the key to a long life and she’ll provide a very specific answer: One beer and three potato chips every night. Curcia and her longtime friend and neighbor Mickey both turned 100 this month, celebrating with their families at a joint birthday party in San Diego. Putting couch potatoes to shame everywhere, the centenarians still walk regularly and sometimes ride their bikes. It turned out people who drank moderate amounts of alcohol — about two glasses of beer or wine daily — lived longer than those who abstained. “I have no explanation for it, but I do firmly believe that modest drinking is associated with longevity,” said Dr. Claudia Kawas, the co-principal investigator of The 90+ Study, last month. Other experts and studies were skeptical about alcohol’s role in longevity, noting it increases the risk of cancer and can lead to other health problems. But everyone agreed on the importance of exercise in living a long life. Curcia said she moves every day, and indeed, as little as 15 minutes of exercise a day was associated with greater longevity in The 90+ Study. The sweet spot seemed to be 45 minutes of movement a day, Kawas said. Regular exercise improved memory and thinking skills in people over 50, another study published last year found. It also took away the years of damage people have done by being sedentary, researchers said in January. As for Curcia’s affinity for potato chips, she practices portion control — a key in managing weight. But it’s also likely the right combination of genes protect centenarians despite their bad habits, like eating salty, fatty, nutrient-poor snacks, experts say. Some longevity superstars have famously enjoyed bacon and whiskey every day, but that doesn’t mean the rest of us can. “For the most part, eating red meat frequently, smoking, drinking too much alcohol, being overweight, not exercising, not managing your stress well — that’s what’s going to make people die generally in their 50s and 60s,” said Dr. Thomas Perls, director of the New England Centenarian Study and professor at the Boston University School of Medicine.